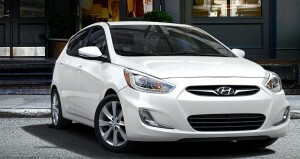 Since the day it replaced the Excel back in 1995, the Hyundai Accent has been selling extremely well in the subcompact market. The vehicle has undergone 4 design changes during that time, with the last coming in 2012. With the 2015 model year, the Accent will be given a little bit of a refresh. Exterior: There are very few visible changes to the exterior, but they are there. The front signature grille has been changed slightly, with the center bar now straight instead of curved towards the “H” logo. The GS and GLS trim levels now come with the same premium headlights found on the 2014 SE model. These lights have an LED daytime running light, as well as projector beams and a turn signal that has been repositioned. Word out of Hyundai is that the tail lights have also been redesigned, but as of yet there are no images to back up that claim. Other exterior changes include restyled 16-inch alloy wheels, as well as newly designed hubcaps for the 14-inch steel wheels. 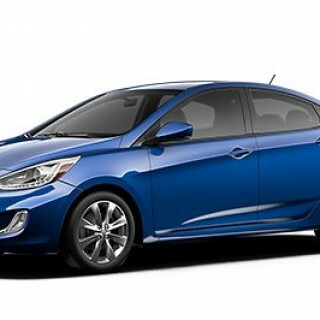 Colors: Three new exterior colors will also be made available: Pacific Blue, Misty Beige, and Vitamin C.
Interior: Changes carry on over to the interior, with new fabric patterns the first of the changes to the 2015 Accent. The GS and GLS trims get a reversed LCD audio system that improves visibility, and an exterior temperature gauge as standard. The GLS trim is now available with the Popular Equipment Package, which comes with steering wheel-mounted audio controls, cruise, Bluetooth hands-free phone connectivity, a tilt and telescoping wheel, and a sliding armrest for around $600. The SE trim level will be ousted in favor of the Sport trim level for 2015. Prices: Pricing starts at $14,745 for the GLS trim with manual transmission, which is a small $100 price bump. The top of the line 2015 Accent Sport 5-door hatchback starts at $17,495, and comes with a 6-speed automatic.